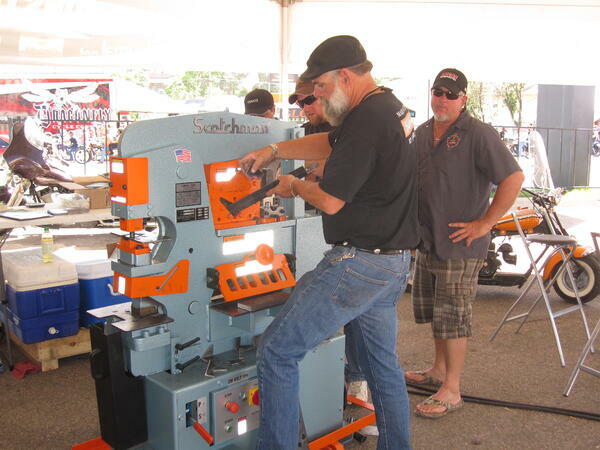 When you buy Scotchman metal fabrication equipment, you are also buying a team of application experts ready to answer all of your questions. We're talking ALL of your questions. It is not uncommon for a Scotchman customer to call several times to ask how to fabricate a certain bracket or shear a particular piece of metal. "Once you purchase the machine, you have full access to our engineering department and machine specialists, too," said Bradly Kuchenbecker, Scotchman inside sales specialist. "You can call us 10 times and never buy an additional tool for your ironworker - we'll tell you how to do any job or make any tool." Customers can email a print or CAD drawing to the support team and receive advice on what products will meet their needs. We also offer step-by-step instructions on machine usage over the phone. Scotchman Ironworkers are endlessly versatile. That versatility leads to many possibilities - and potentially a lot of questions. The tool table area on each machine is fully customizable, allowing you to easily switch to whatever task may come through your shop. Our support staff is ready and available to help you make those modifications. Our support isn't limited to ironworkers. We'll answer questions about all of our metal fabrication equipment, including circular cold saws, pipe notchers and more. Whether you are a current or potential Scotchman customer, you can call our support team as often as you like. Our knowledgeable, friendly staff is available to answer any questions or help you find the right product for your needs. The customer service team is open 7 a.m. to 4:30 p.m. (MST) Monday through Thursday and 7 a.m. to 3:30 p.m. MST on Friday. Don't expect to call and hear a recording tell you to push several different numbers to reach a particular department. Every time you call Scotchman, an actual person will answer the phone! 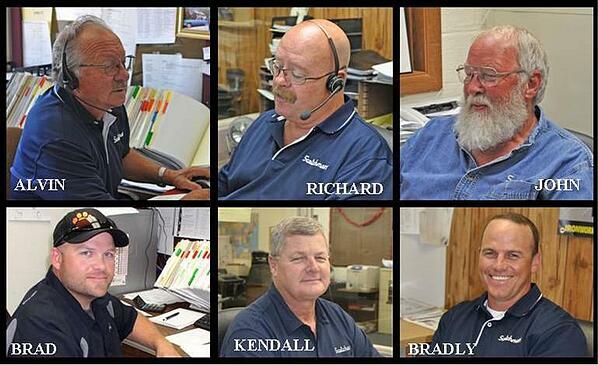 Scotchman's six-person customer service team has more than 125 years of experience under its belt and is ready to help. Want to see what a Scotchman machine can do? Request a free demo below!